An informal Welcome Reception will be held in UPMC University. You would be able to register and enjoy a snack or a refreshment. 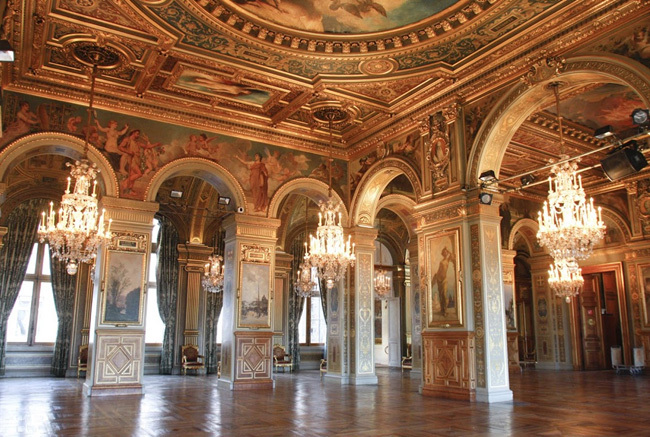 We have the great pleasure to be welcome by the City Halll of Paris for our conference diner, in the Salon des Arcade. Don’t miss the opportunity to enjoy our entertainments (concert and surprises)! Please note that your conference registration does not include a conference diner ticket. To participate, check the box in the Options section, at the time of your registration. The Hôtel de Ville de Paris has been the seat of the Paris City Council since 1357. The current building, with a neo-renaissance style, was built by architects Théodore Ballu and Edouard Deperthes on the site of the former Hôtel de Ville which burnt down during the Paris Commune in 1871. Visits to the town hall, a powerful and prestigious place, are possible. Guided tours are offered by reservation only and are organized by the city’s Protocol Department. Visitors can discover the function room, created as a replica of the Hall of Mirrors at Versailles. Free major exhibitions are also organized here and are a great success. The Salon des Arcades parts dedicated to the Arts (in the center), the Sciences (East) and the Literature (West). 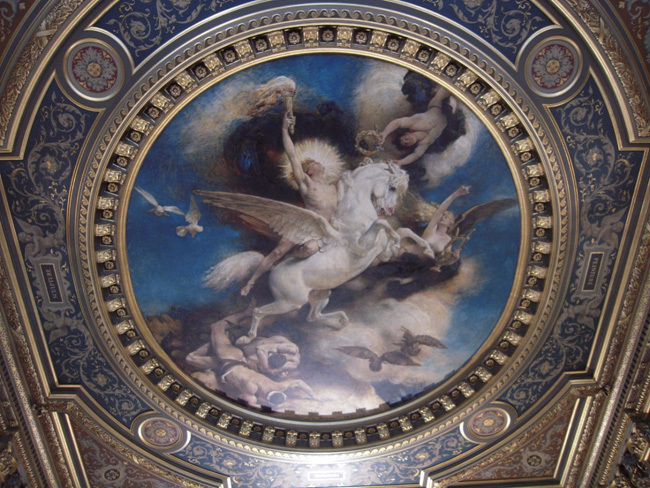 The most famous artist decorated this Salon especially the roof as to Leaon Bonnet with Apollon and Pegasus « le Triomphe de l’Art », Jules Lefebvre with «Les fêtes à l’Hôtel de Ville» and Albert Besnard «les Progrès par les Sciences».